Thursday, August 2nd, 8:00-11:00pm, with Salaam, World Music Nigh at Player’s Pub, Bloomington, IN. Sunday, July 29th, 5:00-6:00pm, with Daily Bread & Butter, Bryan Park, Bloomington, IN. Saturday, July 21st, 8:30-10:30pm, with Salaam, Shimmy-Con, Buskirk Chumley Theater, Bloomington, IN. Saturday, July 14th, 12:00-2:00pm, with Daily Bread & Butter,TC Steele Historic Site, Nashville, IN. Saturday, July 7th, 11:00am-12:30pm, wiht Daily Bread & Butter, Bloomington Farmer’s Market. Monday June 25th-Friday June 29th, Tour with Celtica. Monday June 25th, 10:00-11:00am, Peabody Retirement Cummunity, North Manchester, IN. 2:00-3:00pm, Mason Health&Rehabilitation Center, Warsaw, IN. Tuesday June, 26th, 10:00-11:00am, North Woods Commons, Kokomo, IN. 2:00-3:00pm, Area 5 Senior Center, Peru, IN. Wednesday, June 27th, 10:00-11:00am, One Community, South Whitley, IN. 2:00-3:00pm, Suite Living Senior Living Community, Marion, IN. Thursday, June 28th, 10:00-11:00am, Miller’sMerry Manor, Huntington, IN. 2:00:3:00pm, Wynnfield Crossing Senior Community, Rochester, IN. Friday, June 29th, 10:00-11:am, Cass County Councilon Aging, Logansport, IN. 2:00-3:00pm, Autumn Ridge Rehabilitation Center, Wabash, IN. Friday June 22nd, 8:00-11:00pm, with Salaam, World Music Night at Player’s Pub, Bloomington, IN. Sunday, June 10th, 5:00pm-7:00pm, with Salaam, Indianapolis, IN. Saturday, May 12th, 11:00am-1:00pm, with Daily Bread & Butter, TC Steele Historic Site, Nashville, IN. Friday, May 11th, 6:00-9:00pm, with Celtica, Montgomery, IN. Wednesday May 9th, 6:00-7:00pm, with Daily Bread & Butter, Children’s Bureau, Indianapolis, IN. Friday, May 4th, 4:00-5:30pm, with Maxi Larrea and Javier Leon, Romantic songs from Latin America. Thursday, May 3rd, 7:30-9:00pm, with Daily Bread &Butter, World Music Night at the Player’s Pub, Bloomington, IN. Saturday, April 28th, 7:00-11:00pm, with Tamango, Spring Milonga. Friday April 13th, 8:00pm, with Tamango, Concert for Maxi Larrea, Jacobs School of Music, Latin American Center, Indiana University, Bloomington, IN. Tuesday April 3rd, 10:15am-11:15am, with Daily Bread & Butter, Rousseau McClellan School Montessori in Indianapolis. Sponsored by Indianapolis Early Music. Friday, March 23rd, 7:00pm, with Celtica, Trinity United Methodist Church, Madison, IN. Saturday, March 17th, 7:00pm, Celtica St. Patrick Day Concert, Brown County Inn, Nashville, IN. Friday, March 9th, 6:00-9:00pm, with Celtica, Frenck Lick, IN. Saturday, March, 3rd, 9:00pm-12:am, Milonga with Tamango, Purdue Tango Festival, Purdue University, Lafayette, Indiana. Tuesday, February 20th, 1:00pm, Spencer Elementary, IN, Sponsored by Bloomington Early Music and Indiana Arts Commission. Monday, February 19th, 1:00pm, with Shakespeare’s Ear, McCormick’s Creek Elementary, IN. Sponsored by Bloomington Early Music and Indiana Arts Commission. Saturday, February 3rd, 8:00-11:00pm, with Salaam, World Music Night at the Player’s Pub, Bloomington, IN. Tuesday, January 16th, 6:00-8:00pm, at “LA FERIA VERDE”, in Ciudad Colon, Costa Rica. Sunday, Dec. 10th, 2:00-3:00pm, with Erica Rubis, a Christmas Concert on the Historical Distric at the Lanier Mansion from 1844, Madison, Indiana. Friday, Dec. 1st, 7:00pm-10:00pm, with Tamango, Winter Argentine Tango Ball, Mathers Museum of World Cultures, Indiana University, Bloomington IN. Thursday, November 30th, 7:30pm-8:30pm, with Celtica, for the Rotary Club of Brown County, Seasons Hotel, Nashville, IN. Friday, November 24th,8:00pm-11:pm, with Salaam, World Music Night at Player’s Pub, Bloomington, Indiana. Thursday, November 16th, 11:30am-12-50pm, with Daily Bread & Butter, Northview Middle School, Indianapolis, IN. Wednesday, November 15th, 10:00am, with Shakespeare’s Ear, IPS-Butler University Lab School, Indianapolis, IN. 2:00pm, The Oaks Academy-Fall Creek Campus, Indianapolis, IN. Tuesday, November 14th, 10:45am, with Shakespeare’s Ear, The Oaks Academy Brookside Campus, Indianapolis, IN. Saturday, November 10th, 5:30pm-6:30pm, with Istanbul Breeze, Monroe County CASA Found raiser, Ivy Tech Bloomington’s Shreve Hall, Bloomington, IN. Friday, November 9th, 8:30pm-1:30am, with Tamango, Thomas Duncan Hall, Lafayette, Indiana. Sunday, November 5th, 1:00pm-2:00pm, The UNM Robb Musical Trust production: !Musica del Corazon! Musical Adventures, Albuquerque Journal Theatre, National Hispanic Cultural Center, Albuquerque, New Mexico. Thursday, November 2nd, 10:00am-11:30am, Musical presentation at South Valley Academy, Albuquerque, New Mexico. Wednesday, November 1st, 1:40pm-2:50pm, with !Viva la Pepa! at Albuquerque Academy, West Campus Drama School, Albuquerque, New Mexico. Sunday, October 22nd, 2:00pm-3:00pm, with 2Thousand, at Carnegie Library, Oakland, Pittsburgh, Pennsylvania. Saturday, October 21st, 7:00pm-8:00pm, Traditional Spanish Ballads, Pittsburgh, Pennsylvania. Saturday, October 21st, 11:00am-12:00pm, with 2Thousand, Radio Interview at Neighborhood voices by the Saturday Light Brigade in Pittsburgh, Pennsylvania. Friday, October 20th, 7:00pm-8:30pm, with 2Thousand, Chatham Hall, Pittsburgh, Pennsylvania. Thursday, October 19th, 8:00pm-9:30pm, with 2Thousand, at Susan’s Wagner Sculpture Studio. Pittsburgh, Pennsylvania. Thursday, October 19th, 1:40pm-2:50pm, Journey Through Time with a Hurdy Gurdy, Duquesne University, Mary Pappert School of Music, Pittsburgh, Pennsylvania. Wednesday, October 18th, 6:30-8:00pm, with 2Thousand at Carnegie Library, Carnegie, Pennsylvania. Saturday, October 14th, 2:30 to 5:00 pm, with Salaam at the Fall Festival at All Saints Orthodox Church, Fairfax, Indiana. Friday, October 13th, 7:00-8:30pm, with Celtica at the Ethnic Expo, Columbus, Indiana. Saturday, October 7th, 6:00-7:00pm, Ewell Recital Hall. Recital of Ballads of Spain. as part of the Symposium on Pilgrimage Studies, College of William & Mary, Williamsburg, Virginia. Friday, September 29th, 5:00-700:pm, with Salaam, World Music Night at Player’s Pub, Bloomington, Indiana. Sunday, September 17th, 3:00-6:00pm, with Tamango, Matters Museum of World Cultures, Indiana University, Bloomington IN. Saturday, August 26th, 11:00-1:00pm, with Daily Bread & Butter, Bloomington Farmer’s Market. Friday, August 25th, 5:00-7:30pm, with Salaam, at the Exhibit Columbus Preview Party, Mill Race Park, Columbus, IN. Saturday August 12th, 7:00-10:00pm, with Salaam for a private party in Sheboygan, WI. Friday, August 11th, 6:00-8:00pm, with Salaam, Life at the Front Lake Patio of Colectivo Coffe, 1701 N, Lincoln Memorial Dr, Milwaukee. Friday, July 28th, 8-11pm, with Salaam, World Music Night at Player’s Pub, Bloomington, Indiana. Sunday, July 23rd, 3:00-5:00pm, A Cross-cultural & Musical Journey with Bloomington-based Silk Road Ensemble. Indiana University, Willkie Auditorium. Friday, July 21st, 6:30-7:00pm, with Daily Bread & Butter, 3rd Streel Park Summer Concert Series, Bloomigton, IN. Sunday, July 16th, 5:30-6:45pm, with Celtica, Bryan Park Summer Concert Series, Bloomington, In. Friday, July 14th, 4-6pm, with Salaam, Sweeney Hall, Simon Music Library, Indiana University, Bloomington, IN. Saturday, July 8th, 8-11pm, with Salaam, at the Buskirk-Chumley Theater for the Spectacular Shimmies-Con. Saturday, July 1st, 8-11pm, with Salaam at The Cyrus Place in Indianapolis. Friday, June 9th, with Tamango, Milonga at La Seretonina, Fox Cliff, Martinsville, IN. Tuesday, June 6th, 12:30-1:30pm. with Celtica, Arts Garden, Indianapolis. Wednesday, May 31st, 6:30-8:00pm, with Celtica, Eagle Crrek Park, Indianapolis. Friday, May 26th, 8-11pm, with Salaam, World Music Night at Player’s Pub, Bloomington, Indiana. Sunday, May 14th, 3:00-6:00pm, with Tamango, Mother’s Day Milonga, Player’s Pub, Bloomigton, Indiana. Wednesday, May 1oth, 11:50am-1:00pm, with Daily Bread & Butter, Educational Informance, Park Tudor School is located at 7200 N. College Avenue. 46240, Indianapolis. Sponsored by IEM, Indiana Early Music. Saturday, May 6th, 10:00-11:00 am. ; 3:00-4:00pm, with Salaam, 25th Annual Portage County Cultural Festival, Stevens Point, WI. Friday, May 5th, 8:00;10:00pm, with Salaam, Belly Dance and Music concert at University of Wisconsin Stevens Point, WI. April 25th- 27th, Tour in Chicago with Salaam with the program: Middle Eastern Musical Journey. Sponsored by Center for Middle Eastern Studies (University of Chicago) and Center for Arabic Language & Culture. Wednesday, April 19th, 6:00-8:00pm, with Salaam, International Cultural Banquet GALA, Green Activities Center, Vincennes University, Vincennes, IN. Thursday April 13th, 5:00-8:00pm, with Salaam, Taste of the World, Ivy Tech Community College, Bloomington, IN. Friday April 7th, 10:00-12:00am, with Tamango, La Milonguera, Thomas Duncan Hall, Lafayette, IN. Friday April 7th, 2:50-3:35pm, A Journey Through Time with a Hurdy Gurdy. International School of Indiana, 4330 N Michigan Rd, Indianapolis, IN 46208. Thursday, April 6th, 6:00-9:00pm, with Daily Bread & Butter, World Music Night at Player’s Pub, Bloomington, Indiana. Saturday, April 1st, 12:00-12:20pm, Lotus Fest, Lotus Bazaar, Bloomington, IN. Friday , March 31st, 8:00-11:00pm, with Salaam , World Music Night at Player’s Pub, Bloomington, Indiana. Friday, March 17th, 7:00-9:00pm, with Celtica, St Patrick Day Concert and Cd release of Celtic Fire. Brown County Inn, 51 State Road 46, Nashville, IN. Sunday, March 5th. 6:00-9:00pm Milonga with Tamango, Bloomington, IN. Tuesday, Feb. 14th, 11:50am-1:00pm “A Journey Through Time with a Hurdy Gurdy”, Indiana University, Bloomington. For the Ethnomusicology Class. Friday, Feb. 10th, 9-11pm, with Tamango, Milonga at La Seretonina, Fox Cliff, Martinsville, IN. Friday, Feb. 3rd, 7-10:00pm, with Istanbul Breeze, at Scholars’ Inn, Bloomington, IN. Friday, January 27th- 8:00-11:00pm, with Salaam and Istanbul Breeze, World Music Night at Player’s Pub, Bloomington, Indiana. Sunday, Dec. 11th, 6-8:00pm, with Celtica, Christmas Concert at Faith Points Lutheran Church, 814 W. Sheridan Street, Greensburg, IN. Friday, Nov. 25th, 7-10:00pm, with Istanbul Breeze, at Scholars’ Inn, Bloomington, IN. Friday,Oct 28th, 7:30-9pm, with Istanbul Breeze, Tudor Room, IMU, Indiana University, Bloomington. Saturday,Oct 22nd, 7-10:00pm, with Istanbul Breeze, at Scholars’ Inn, Bloomington, IN. Saturday,Oct 15ht, 7:30-8:30pm, with Tamango, Windfall Dance Studio,1101 N. Dunn St., Bloomington, IN, 47408. Thursday, Oct 13th, 7:30-8:00pm, with Daily Bread & Butter, Nature Sounds, Lower Casacades Park, Bloomington, IN. Saturday, Oct 8th, 6:30-8:30pm, with The Silk Road Ensemble, SIGIS Auditorium, Indiana University, Bloomington, IN. Saturday, Oct 8th, 5-6pm, with Daily Bread & Butter, Ethnic Expo, Columbus, Indiana. Thursday, September 8th, 8:00-11:00pm, with Salaam, World Music Night at Player’s Pub, Bloomington, Indiana. Thursday, September 1st, 4:30-6:30pm with Daily Bread & Butter, Ivy Tech Community College, Bloomington Indiana. Sunday, July 24th, 3-5pm, with Silk Road Ensemble, at Rawles Hall, Room 100, Indiana University, Bloomington. Saturday, July 23rd, 1:30 pm, with Silk Road Ensemble, Weigel Hall Auditorium, 1866 College Rd, at Ohio State University, Columbus, Ohio. Thursday, May 12th, 8:30 pm. with Salaam, World Music Night at Player’s Pub, Bloomington, Indiana. Thursday, May 12th, 8:30 am, With Shakespeare’s Ear, at Nora Elementary School, Indianapolis, IN. At 2:30pm at Fox Hill Elementary School, Indianapolis, IN. Saturday, April 23rd, 11:00am, with Daily Bread & Butter, Bloomington Farmer’s Market. IN. Friday, April 22nd, with Salaam, Foster Quad International Students, Hilton Hotel, Bloomington, IN. Saturday April 9th, 6:30-8:00pm. With Istanbul Breeze, at the Turkish American Society, Turquoise Cultural Center, 501 Midway Dr. Mount Prospect, IL 60056. Thursday, March 31st, 7:30-9:00pm, with Salaam, Performing Arts Series at Anderson University, York Performance Hall, School of Music, Theater and Dance, 1100 E. Fifth Street, Anderson, IN, 46012. Saturday, March 5th, 7-8pm, with Celtica, at St. David’s Episcopal Church, Bean Blossom, Indiana. Tuesday, March 1st, 6-8 pm, at Indiana University, Bloomington, Indiana. Thursday, February 18th, 8-11pm, at the Player’s Pub, Bloomington, Indiana. Wednesday, February 10th, 6-9:00pm, at the Player’s Pub, Bloomington, Indiana. Thursday, January 14th, 8-11pm, at the Player’s Pub, Bloomington, Indiana. Wednesday, December 16th, 6:00pm, with Celtica, Celtic Service at St. David’s Episcopal Church, Bean Blossom, Indiana. Wednesday, December 9th, 6:00pm, with Celtica, Celtic Service at St. David’s Episcopal Church, Bean Blossom, Indiana. Saturday, November 14th, 4:00pm, Eternal Juan Ramon Jimenez at The Dome, Bloomington, IN. Friday, November 13th, 7:00-9:00pm, with Silk Road Ensemble at Burkirk-Chumley Theater, Bloomington, IN. Sunday, October 10th, 1:00-2:00pm, with Salaam at Ethnic Expo, Columbus, IN. Saturday, October 3rd, 10:00- 11:00 am, with Daily Bread & Butter at Bloomington Farmer’s Market. Saturday, September 26th, 3:00-5:00pm, with Celtica, Batesville Indiana Applefest. Friday, September 18th, 1:30-3:00pm, Matters Museum of World Cultures, duo playing and talking with Erica Rubis for Anya Roice’s class. Sunday, September 6th, 11:00am-1:00pm, with Daily Bread & Butter, at the 4th Street Festival. Bloomington, IN. Saturday, May 30th, 8:00pm. with Istanbul Breeze, at the Midwest Alevi Cultural Center in Chicago, 2825 N. Sheffiels Ave. Chicago, IL 60657. Tuesday, May 18th, 7-8pm, with Istanbul Breeze at the Institute for Curriculum and Campus Internationalization (ICCI), Kelly School of Business, Indiana University, Bloomington, IN. Friday, April 24th, 8:30-10:30pm with Celtica at Stutz Arts open House. Indianapolis, IN. Tuesday, April 21th, 9:30pm with Shakespeare’s Ear. Spencer Midle School, Spencer, Indiana. Monday, April 20th, 1:30pm with Shakespeare’s Ear. School of Math and Science. Indianapolis, IN. Thursday, April 16th, 9:30-11:00 pm with Daily Bread & Butter, at Player’s Pub. Bloomington, IN. Thursday, April 16th, 7-8 pm with Daily Bread & Butter: Frog calls, Griffy Lake, 3300 N. Headley Rd., Boathouse. Program by City of Bloomington Parks and Recreation. Sunday, March 29nd, 1:30 pm with Istanbul Breeze at the inauguration by the Mayor Greg Ficher of the American Turkish Friendship Asssociation center in Louisville, Kentucky. Sunday, March 22nd, 1:30 pm with Istanbul Breeze, for the Novruz Festival at Ballericay Park, Indianapolis, IN. Thursday, March 12th, 8-9:30 pm with Salaam at the World Music Night. Player’s Pub. Bloomington, IN. Saturday, February 28th, 9-12 pm with Salaam, at the Winter Farmer’s Market, Bloomington, IN. Thursday, January 15th, 9-11 pm. World Music Night with Salaam, at Player’s Pub. Bloomington, IN. Saturday, December 6th, 2014; 11:00 am-4:00pm, workshop with Salaam and Kahraman of music and dance at the Studio of Iowa City, Kahraman’s website. Friday, December 5th, 2014; 8:00pm, performance with Salaam,“Café Al Andalúz” Near Eastern/Spanish music and dance:Concert and Workshop , with the Kahraman Near East Emsamble, Iowa City. Friday, December 5th, 2014; 12:00pm, performance with Salaam, at the Atrium of the University Hospital, Iowa City, as part of the Art Porject Performance Series. Thursday, December 4th, 2014; 2:00pm, performance with Salaam at the Eli Lilly and Company Foundation Concourse at the Ezkanazi Health in Indianapolis, IN. 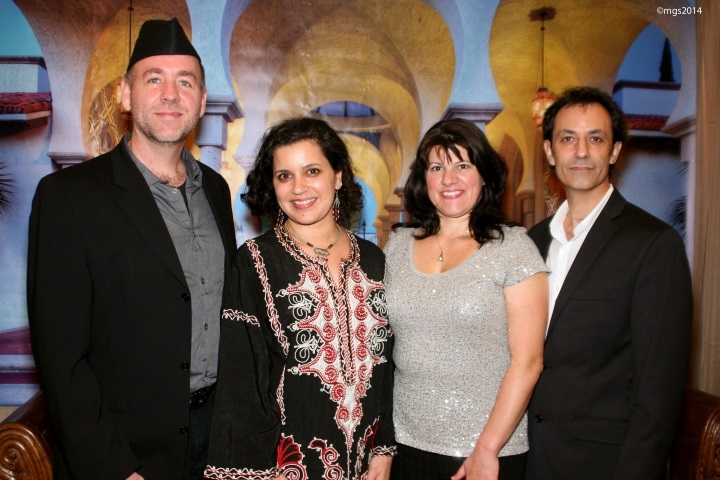 Friday, November 21th, 2014; 8:00-11:00pm, Hatije’s Hafla performance with Salaam, Player’s Pub, Bloomington, IN. Saturday, November 8th, 2014; 4pm at performance at La Tienda, 1325 Jamestown Rd, Williamsburg, VA 23185. Friday, November 7th, 2014; 8:00 pm. Ewell Recital Hall, College of William&Mary, Williamsburg, VA.
Sunday, October 12th, 2014. 4-6pm. With Celtica. Special concert at T.C. Steele State Historic Site, Nashville, Indiana. Saturday, October 4th, 2014. 9:pm. Book Launch: Heroin and Other Poems. Leopoldo Maria Panero, @ Excess, Bloomington, IN. Thursday September 18th, 2014. 7:30pm. Corley Auditorium in Webster Hall, with Istambul Breeze: Music of Turkey. Institute of International Sttudies, Missouri Southern State University, Joplin MO. Friday, 19th , 2014. 10:ooam and 12:00pm Corley Auditorium in Webster Hall, with Istambul Breeze: History and Traditions of Turkish Music and Music of Turkey. Institute of International SttudiesMissouri Southern State University, Joplin MO. Friday, September 5th, 2014. 6:30-8:30 pm. For: Mix at the Museum, European Art Gallery, Indiana University Art Museum, Bloomington, IN. Friday, June 6th, 2014. 6:30 pm with Salaam Band. Gleannloch Farms, The Legend and the Legacy. Gala and Fundraiser to benefit The Pyramid Society. Embassy Suites Ballroon, Lexington, Kentucky. Saturday April 19th. Hiedra Magazine launch party presentation. Saturday April 12th. 8:00pm. Kativar House Concert at the house of Ethnomusicologist Margi Steiner. Bloomington, IN. Saturday, March 29th. 5pm Noroz Celabration. with The Silk Road Ensemble. Wilkie Auditorium, Indiana University, Bloomington. IN. Saturday November 23th, 2013. 7:30 International Festival: 7:30 pm. The Silk Road Ensemble. West Pabillion, State Fair Grounds, Indianapolis. IN. Saturday November 16th, 2013. 7:30 Concert: Eterno Juan Ramón Jiménez, Fine Arts Auditorium. Indiana University. Bloomington, IN. Friday November 15th, 2013. 10:30 am workshop, De Vault Gallery, Matters Museum of World Cultures. Bloomington, Indiana. October 16th-18th, 2013. Wake Forest University, NC. Wednesday, Oct.16th. LECTURE. La tradición del Romancero. Thursday, Oct. 17th. Concert: Traditional Ballads from Spain. Concert with Daily Bread. 2nd IndianaHurdy-gurdy workshop. Way Cross Camp and Conference Center. 7363 Bear Creek Rd, Morgantown, Indiana 46160. Life performance with Celtica Band. Appel Works, Trafalgar, IN. 3-5 p.m.
10:15 a.m. Daily Bread Workshop/Demonstation at De Vault Gallery, Mathers Museum of Wolrd Cultures. Indiana St. between 8th and 9th.Daily Bread will perform traditional dances from Europe. Prof. Pep Sobré will teach participants how to dance 3 traditional Catalan dances. August 25th, 2013. Kativar–Dear friends, please join us this Sunday at Max’s Place in Bloomington, IN. We will play a set of music from 3 -4 pm. The entire event is a benefit for WildCare and goes from 2 – 4. $5 suggested donation. 8-11 pm, Daily Bread ,Player’s Pub, Bloomington, Indiana. 8-11 pm, Player’s Pub, with Kativar and Daily Bread, Bloomington, Indiana. 11:00 am, Project School, Bloomington. 10:15 am, Broadripple High School, Indianapolis. 2:30 pm, Ben Davis High School, Indianapolis. 3:00 pm, Newby Elementary School, Mooresville. Serendipity Martini Bar , with Chuscales, 8-11pm, Bloomington, Indiana. With Celtica, 7-11pm, Indianapolis, Indiana. With gambist, Erica Rubis, 10-11am on WFIU: Radio Interview and live performance with host George Walker on Public Radio Music Month. Bloomington, Indiana. Indiana University, with Daily Bread, 9-11pm, Bloomington, Indiana. 3rd Annual Spanish & Portuguese Song Festival, Indiana University, with gambist Erica Rubis, 5pm, Bloomington, Indiana. Farmer’s Market, with Daily Bread, 9-12pm, Bloomington, Indiana. Big Red Liquors, with Daily Bread, 12-4pm, Bloomington, Indiana. B-D, with Fred Mayers, 6-11pm, Terre Haute, Indiana. Parranda Navideña at the Neal-Marshall Black Culture Center, Indiana University, Bloomington, IN. Radio Interview and live performance on WFHB Radio with host Cindy Beaulé on the Old Changing Way. Noon Concert Lecture Series at the Archives of Traditional Music, Hoagy Carmichael Room, Indiana University, Bloomington, IN. The Art of the Western World featuring Hurdy Gurdy music at the Art Museum, Bloomington IN. Folk College with Simple Gifts, at Juniata College, Pennsylvania with Polly Tapia-Ferber. The First Hurdy Gurdy Workshop in the Midwest, Waycross Camp and Conference Center. Christ Church Cathedral, 125 Monument Circle, Indianapolis, Indiana. Max’s Place, accompanying Julián Carrillo. Bloomington, Indiana. Sublime Gallery, with Daily Bread, 6-8 pm, Bloomington, Indiana. Tomás will participate in the Cultural Counterpoints Conference at the Indiana University (Bloomington). For more information, follow this link, or view the full program here. Tomás Lozano performs Hispanic ballads sung in Castilian, Galician, Catalan, and Judeo-Spanish. A part of the Ewell Concert Series. With Ensemble Lipzodes and guest artist José Lemos at The Stephen Wise Free Synagogue, New York, New York. The program: “The Ornament of the World” recalled an era of unprecedented civic harmony among the three Abrahamic faiths in pre-Expulsion Spain. Acclaimed Brazilian countertenor José Lemos joined noted period-instrument ensemble Lipzodes in a concert of music from the period of the convivencia (c. 750 – 1492 CE), sung in Hebrew, Castilian and Arabic. Visit www.salonsanctuary.org for more information. Radio interview at WFIU with David Wood, Bloomington, IN. Makah Cultural and Research Museum, Neah Bay, WA. Sponsored by the Spanish Consulate. Lecture class at UW for Chicano Studies. Sponsored by the Spanish Consulate. Lecture: Native American Musicians of the Early 17th Century New Mexican Franciscan Mission Schools. Univeristy of Washington, Seattle, WA. Sponsored by Spanish and Portuguese Studies, Instituto Cervantes, Spanish Resource Center, American Ethnic Studies and Spanish Embassy. Traditional Ballads and Dances from Spain. Brown County Library, Nashville, Indiana. Fig Tree Gallery. Sponsored by Early Music in Motion. Northern New Mexico College, Nick L. Salazar Center for Performing Arts, Española, NM. National Hispanic Cultural Center; Concierto de Romances Españoles. ¡Viva la Pepa! performed at ¡Globalquerque! held at the National Hispanic Cultural Center, Albuquerque, NM. Nuestra Musica Festival, Lensic Theater, Santa Fe, NM. IV Simposio sobre Patrimonio Inmaterial. La Voz y el Ingenio. Lecture presentation: “Trovos y Cañuteros: Ingenio y humor en Nuevo México”. Fundación Joaquín Díaz, Urueña, Valladolid, Spain, April. NM Book signing presentation tour: UNM, Albuquerque; Northern New Mexico College, Española and El Rito; Instituto Cervantes, National Hispanic Cultural Center, Albuquerque. April. Recital of Traditional Spanish Romances, Northern New Mexico College, El Rito, NM. April. Concert of Traditional Music and Songs from Spain, with Viva La Pepa, Northern New Mexico College, Española, NM. April. Concert of Traditional Music and Songs from Spain, with Viva La Pepa, Instituto Cervantes and Spanish Resource Center, NHCC, Albuquerque, NM. April. Two lectures at Northern New Mexico College: New Mexico Mission Music in the 17th and 18th Centuries, Moros y Cristianos. Lecture at NHCC for the Spanish Resource Center, Albuquerque, NM. New Mexico Mission Music in the 17th and 18th Centuries. Mini Lecture Series at UNM Continuing Education. Three lectures: New Mexico Mission Music in the 17th and 18th Centuries, Moros y Cristianos, Romances. Albuquerque, NM, June. Jewish Community Center, Albuquerque, NM. Guest speaker for the Musicology Colloquium at The College of Music-University of Colorado, Boulder. Fall 2005. Four lectures: The Troubadours: Origins and Evolution. Islamic influences in the Southwest, Music Schools in New Mexico in the 17th Century, and Music of the Renaissance in Spain. “EARLY AND TRADITIONAL MUSIC FROM SPAIN”: Albuquerque Folk Festival. “MUSIC AND SONGS FROM MEDIEVAL SPAIN”: Lady of the Mountain Folk Festival, Magdalena, N.M.
“CONSTRUCTION OF SIMPLE MADE INSTRUMENTS FOR THE CLASSROOM”: Children workshop at the Lady of the Mountain Folk Festival, Magdalena, N.M.
“TRADITIONAL SEPHARDIC SONGS”: South Broadway Cultural Center, Albuquerque, N.M. part of the TV series program of Lo Maduro de la Cultura, Albuquerque Museum. “SPANISH MEDIEVAL CONCERT”: New Mexico Tech Performing Art Series, Macey Center, New Mexico Tech, Socorro, N.M. (March);for the Fourth Annual New Mexican Hispanic Culture Preservation League, Thanksgiving Banquet, España en el Siglo de Oro. Albuquerque, N.M. (April). Literacy Volunteers of Santa Fe, Masonic Temple, Santa Fe, N.M.
“CONSTRUCTION OF SIMPLE MADE INSTRUMENTS FOR THE CLASSROOM”: Workshop for elementary and middle school teachers, sponsored by the Spanish Resource Center, National Hispanic Cultural Center, Albuquerque, N.M.
“SPANISH MEDIEVAL MUSIC TOUR IN NEW MEXICO”: Sponsored by the New Mexico Arts. Roswell Museum, Roswell (February), Western New Mexico University, Silver City( March), New Mexico Junior College, Hobbs(May), El Puente Theater, Peñasco (June), Martinez Hacienda Trade Fair, Taos(September), Santuario de Chimayó (October), Saint Joseph Apache Mission, Mescalero; Quemado; Instituto Cervantes, Albuquerque; Eastern New Mexico University, Portales; NMSUA, Alamogordo; Dixon Presbiterian Church; Oñate Center, Alcalde (December). “LA TORTUGA TRAGALEGUAS”: Albuquerque tour in Elementary and Middle schools to promote the Spanish language. Theatrical play sponsored by Albuquerque Community Foundation. “SPANISH MEDIEVAL MUSIC TOUR IN NEW MEXICO”: Sponsored by the New Mexico Arts: Presbyterian Church, Dixon ( February), International Folk Art Museum, Santa Fe (March), Reserve (May), Northern Community College, Española (June), Magdalena (July), Chimayó Festival of Arts (September), Jémez Valley Art in the Park, Jemez Springs (September), Court Youth Center, Las Cruces (September) Martínez Hacienda, (September), Arts and Crafts Festival, Magdalena (November) Quemado, (December). “GREGORIAN CHANTS CONCERT”: San Luis, Colorado (April). “LOS MAROMEROS”: Reenactment of the New Mexican ‘Maromeros’ during the Festival del Camino Real de Tierra Adentro, Oñate Center, Alcalde (May) Socorro (June), Court Youth Center, Las Cruces (September). “SPANISH MEDIEVAL MUSIC”: Concert at Pacific Lutheran University, Tacoma, WA (April), Chamizal National Memorial, El Paso, TX (July), Michel McCormick Gallery, Taos (July), Rancho de las Acequias, Nambe, NM (August), Gordon’s Music Store, Los Alamos (August), Renaissance Faire, Farmington, NM (October). “LA TORTUGA TRAGALEGUAS”: New Mexico tour at Elementary and Middle schools to promote the Spanish language. Theatrical play sponsored by “The Spanish Resource Center,” Pojoaque, Santa Fe, Albuquerque, Embudo (January), Santa Fe (February), Santa Fe, Sombrillo, Santa Fe, Albuquerque, (May), Chama, Roswell, Hondo (November), Albuquerque (December). “HISTORIA DEL ROMANCE”: New Mexico tour sponsored by ‘New Mexico Arts,’ Clovis Community College, Clovis, NM (January); Vista Grande Community Center, Sandia Park, NM (February); Museum of the Horse, Ruidoso, NM (March); Roswell Museum, Roswell, NM (April); Arts in the Park, Jemez Springs, NM (May, September); Old Gallery School, Rama, NM (May); Fuller Lodge, Los Alamos, NM (July); Renaissance Faire, Albuquerque, NM (August); Bat Festival, Carlsbad, NM (September). “SPANISH MEDIEVAL MUSIC TOUR”: Concert Tour: Oregon State University, Corvalis, OR (February); Pelayo’s Antiques, Seattle, WA (February); University of Washington, Seattle, WA (February); Washington State Capitol, Olympia, WA (February); Centralia College, Centralia, WA (February, October); Shrine of Saint Therese Church, Pueblo, CO (March); La Fonda, Santa Fe, NM (July); Colorado College in Colorado Springs, CO (September); University of Wyoming, Laramie, WY (September); Heritage College, Topenish, WA (October); Studio Duende, Seattle, WA (November); San Felipe Neri Church, Old Town, Albuquerque, NM (December); Fitzgerald Center, Jemez Springs, NM (December). “SPANISH RENAISSANCE FAIR”: Medieval street parade and music, ‘El Rancho de las Golondrinas,’ A living History Museum, La Cienaga, NM (June). “SPANISH MEDIEVAL MUSIC”: Concert tour, arranged and sponsored by the General Consulate of Spain in San Francisco, Union Española, San Francisco, CA (October); Monterrey Institute of International Studies, Monterrey, CA (October); Círculo Hispano, Sacramento, CA (October). “SEPHARDIC MUSIC IN HONOR OF SIMCHA TORAH”: Concert, Jewish Center, Los Alamo, NM (October). “PLAYS FOR CHILDREN”: New Mexico tour of educational programs, sponsored by the McCune Charitable Foundation, Santa Fe, NM, to promote bilingual education in the Public School System (October-December). “TRADITIONAL SPANISH CHRISTMAS CAROLS”: Concert, Chama Civic Center, Chama, NM (December); Holy Family Church, Chimayó, NM (December). “LA TORTUGA TRAGALEGUAS”: New Mexico tour at Elementary and Middle schools to promote the Spanish language. Theatrical play sponsored by “The Spanish Resource Center”, Albuquerque, NM (December). “SEPHARDIC SONGS AND ROMANCES”: Music and drama presentations, Beverly Hills, CA (January). “HISTORIA DEL ROMANCE”: New Mexico tour sponsored by New Mexico Arts, Sierra County Civic Center, Truth or Consequences, NM (January); Eastern New Mexico University, Portales, NM (February); Esperanza School; Farmington, NM (February); Robert J. Saul Community Center, Mountainair, NM (February); and San Jose Parish Hall, Los Ojos, NM (February). “THE PASSION OF JESUS CHRIST”: Autosacramental at the Guadalupe Church, Taos, NM (April). “EARLY CALIFORNIA MUSIC AND ITS EUROPEAN ORIGINS”: Lecture and concert, sponsored by Santa Barbara Trust for Historical Preservation, Presidio Chapel, Santa Barbara, CA (April). “HISTORY OF THE MISSIONS IN ALTA CALIFORNIA”: Lecture at Santa Barbara Public Library, Santa Barbara, CA (April). “SPANISH MEDIEVAL STREET PARADE”: The Europe Festival, San Pedro, CA (May). “Los Trobadores en la España Medieval”: Lecture, Universidad de Costa Rica, San José, Costa Rica (June). “Gregorian Chants and Medieval Music”: Two concerts, Chapel, Le Monastère, Escazú, Costa Rica (June); Teatro Giratablas, San José, Costa Rica (June). “TROUBADOURS IN THE MIDDLE AGES”: 3 Lectures, Fort Lewis College, Durango, CO (September). “THE MEDIEVAL ROOTS OF THE SPANISH SOUTHWEST”: Lecture-demonstration sponsored by the General Consulate of Spain in San Francisco. A view of Spanish and Southwest folklore, Washington University, Seattle, WA (December); Pacific Lutheran University, Tacoma, WA (December). “SPANISH MEDIEVAL MUSIC”: Concert at ‘La Fonda,’ Santa Fe, NM (July, August); Renaissance Faire, Albuquerque, NM (October); Drew Harvey Theater, Yelm, WA (December). “BRAVE HISTORICAL FIGURES OF NEW MEXICO”: A three part drama-monologue (featuring Padre José Antonio Martínez, Dora Ortiz Vasquez and Aurelio M. Espinoza), tour sponsored by O.C.A. (Office of Cultural Affairs), Santa Fe, NM (June); Broadway Cultural Center, Albuquerque, NM (June); Albuquerque Museum, Albuquerque, NM (June); Carlsbad Public Library, Carlsbad, NM (October); Santo Tomás Church, Abiquiu, NM (November); Museo Cultural de Santa Fe, Santa Fe, NM (December); Martinez Hacienda, Taos, NM (December). “TRADITIONAL SPANISH MUSIC & FOLK SONGS”: Concert at the International Folk Art Museum, Santa Fe, NM (August). “MEDIEVAL AND TRADITIONAL SPANISH MUSIC”: Street parades during the three-day celebration of the 25th Border Folk Festival, Chamizal National Memorial, El Paso, TX (September). “SPANISH MEDIEVAL MUSIC”: Concert at Jan Roshong Recital Hall, Fort Lewis College, Durango, CO (September). “PLAYS FOR CHILDREN”: New Mexico tour of educational programs, sponsored by the McCune Charitable Foundation, to promote bilingual education in the Public School System (October-November). “CANTO ANTIGUO ESPAÑOL”: A recital of medieval Romances from Spain, sponsored by the Consulate General of Spain in San Francisco, Everett Community College, Everett, WA (December). “BRAVE HISTORICAL FIGURES OF NEW MEXICO”: A three part drama-monologue (featuring Padre Antonio José Martínez, Dora Ortiz Vasquez and Aurelio M. Espinoza), Oñate Center, Alcalde, NM (February) and University of New Mexico, Albuquerque, NM (October). “THE LADY AND THE TROUBADOUR”: A theater play written and directed by Crisol Bufons, based on Tirso de Molina’s play, La prudencia en la mujer, depicting a historical moment in Spain during the late 13th century, performed at the Siglo de Oro Drama Festival, Chamizal National Memorial, El Paso, TX (February). MEDIEVAL ENTRANCE PARADES: Daily music with medieval woodwind instruments, drums, percussion and dances for the opening of all theater plays at the Siglo de Oro Drama Festival, Chamizal National Memorial, EL Paso, TX (February-March). “THE PASSION OF JESUS CHRIST”: Autosacramental with gregorian chants, Oñate Center, Alcalde, NM (March), sponsored by Cibola Arts Council, Best Western Hotel, Grants, NM (March). “SPANISH HISTORY AND FOLKLORE”: Lecture-demonstration for World Music Classes, University of Colorado, Boulder, CO (April). “HISTORY OF THE MISSIONS IN ALTA CALIFORNIA”: Lecture-tour in the missions Santa Inés, San Miguel and Monterrey, CA (May). “SPANISH MEDIEVAL STREET PARADE”: The Europe Festival, San Pedro, CA (June). “GREGORIAN CHANTS AND MEDIEVAL MUSIC”: Concert of dedication at ‘Todos los Santos’ church, San Luis, CO (June). “NEW MEXICO EARLY MUSIC CONCERT”: Concert with the special collaboration of Brenda Romero, Chuy Martínez and Lorenzo Martínez for the TV program Lo Maduro de la Cultura, Albuquerque Museum of Art and History, Albuquerque, NM (July). “SPANISH MEDIEVAL MUSIC CONCERT”: Loreto Chapel, Santa Fe, NM (March); Arizona University, AZ (April); Grace St. Paul’s Episcopal Church, Tucson, AZ (May); La Fonda, Santa Fe, NM (June-August); “Festival de las Artes,” Pueblo, CO (November); Historical San Isidro Church, Corrales, NM (December). “TRADITIONAL SPANISH MUSIC & FOLK SONGS”: Concert at the 8th Annual “Canciones del Pasado,” Denver, CO (April); Chile Harvest Festival, Four Mile Historic Park, Denver, CO (August). “THE THIRD ANNUAL HARVEST OF MUSIC FESTIVAL”: Concert of traditional harvest songs from Spain, Peñasco, NM (October). “PLAYS FOR CHILDREN”: A New Mexico tour of educational programs sponsored by the McCune Charitable Foundation, to promote bilingual education in the Public School System (September-December). “NEW INSIGHTS INTO THE CHARACTER OF DON JUAN”: Spanish Music presentation for the Symposium, Teatro Universitario Español at California State University, Los Angeles, CA (February). “FESTIVAL INTERNACIONAL DE LAS ARTES”: Concert of Spanish medieval music, San José, Costa Rica (March). “SPANISH MEDIEVAL MUSIC”: Costa Rica concert tour: San José, Cartago, Heredia, Coronado, Puntarenas, Liberia (March-April). “ROMANCERO”: Music and drama presentation for the Siglo de Oro Drama Festival at Chamizal National Memorial, El Paso, TX (March) and at the 25th Chicano Week at New Mexico State University, Las Cruces, NM (April). “GREGORIAN CHANTS”: Concert, Our Lady of Guadalupe Church, Antonito, CO (May). “THE LADY AND THE TROUBADOUR”: A theater play written and directed by Crisol Bufons, based on Tirso de Molina’s play, La prudencia en la mujer, depicting a historical moment in Spain during the late 13th century, performed at Northern Community College, Española, NM (January); Casa de España, Pasadena, CA (January); Kimo Theater, Albuquerque, NM (June). “SPANISH MEDIEVAL MUSIC CONCERT”: Loreto Chapel, Santa Fe, NM (June); Renaissance Faire, Albuquerque, NM (August); and Methodist Church, Las Vegas, NM (August). “TRADITIONAL HARVEST SONGS FROM SPAIN”: Concert, The Second Annual Harvest of Music Festival, Peñasco, NM (October). “GREGORIAN CHANTS AND NEW MEXICAN ALABADOS”: Concert with the collaboration of Northern New Mexico Choral Group, Santuario de Guadalupe, Santa Fe, NM (November). “MEDIEVAL DINNER”: Spectacle complete with specially prepared medieval cuisine, entertainment and music played on period instruments and in medieval costumes, sponsored by Cibola Arts Council, Grants, NM (December). “TRADITIONAL CHRISTMAS CAROLS FROM SPAIN”: Concert at Santuario de Guadalupe, Santa Fe, NM; Presbyterian Church, Placitas, NM; Loreto Chapel Santa Fe, NM; Sacred Heart Church, Durango, CO (December). “FOUNDED CRISOL BUFONS”: A non-profit organization established in New Mexico since February 1995, dedicated solely to cultural and educational purposes. “HISTORIA DEL ROMANCE”: Dramatic representation of medieval Spanish Romances (Ballads) and their evolution until the actual Corrido, at the Latin-American Institute and Spanish Department, UNM, Albuquerque, NM. (February); International Folk Art Museum, Santa Fe, NM (March); New Mexico State University -Alamogordo, Alamogordo, NM (April); University of Sacramento, CA and Davis University, CA (September); UNM , Albuquerque, NM (October). “ROMANCES Y CORRIDOS”: Comparative study of Romances and Corridos with the collaboration of Cipriano Vigil, PhD., at Santa Fe Community College, Santa Fe, NM (February). TRADITIONAL SPANISH JOTAS: A special collaboration with La Zarzuela de Albuquerque’s 13th annual production of Spanish musical drama, La Dolorosa (Zarzuela), Kimo Theater, Albuquerque, NM (March, April). “HISTORIA DEL ROMANCE Y MUSICA MEDIEVAL”: A special collaboration of performances with the Second Company of Teatro Flamenco María Benítez, International Folk Art Museum, Santa Fe, NM (May); Santuario de Guadalupe, Santa Fe, NM (May). “SPANISH MUSIC FROM THE 8th TO THE 16th CENTURY”: Concert, Sponsored by Los Alamos Art Council, Unitarian Church, Los Alamos, NM (May). “MEDIEVAL DINNER”: A spectacle complete with specially prepared medieval cuisine, entertainment and music played on period instruments and in medieval costumes at the Oñate Center, Alcalde, NM (June). “EL QUIJOTE EN NUEVO MÉJICO”: A theater play written and directed by Crisol Bufons about the adventures of Don Quijote in northern New Mexico with the special collaboration of Titiriteros (a puppet company from Taos), presented at the Broadway Cultural Center, Albuquerque, NM (July) and University of New Mexico, Albuquerque, NM (October). “SEPHARDIC SONGS AND ROMANCES”: Music and drama presentations exploring the Jewish influence on Hispanic culture of New Mexico in collaboration with author and scholar, Tomás Aténcio, for the performance series, Lo Maduro de la Cultura, Albuquerque Museum, Albuquerque, NM and at Oñate Center, Alcalde, NM (October). “SPANISH FOLKLORIC MUSIC”: Concert, Calvary Presbyterian Church, Berkeley, CA (October); Union Espanola de California, San Francisco, CA (October); UNM, Albuquerque, NM (October). “HISPANIC CULTURE CELEBRATION”: (503 Years of Contributions to the Americas): Spanish Folklore Music Concert, Albuquerque Museum, Albuquerque, NM (October). “THE LADY AND THE TROUBADOUR”: A theater play written and directed by Crisol Bufons, based on Tirso de Molina’s play, La prudencia en la mujer, depicting a historical moment in Spain during the late 13th century, performed at University of New Mexico, Taos, NM (October); El Rito Northern Community College, NM (November); and Tech University, Lubbock, TX (November). “TRADITIONAL SPANISH MUSIC & FOLK SONGS”: Concert, 26th Annual International Festival, UNM, Albuquerque, NM (April);.Concert at World College in Las Vegas, MN (July) and at Centro Aztlán, Lubbock, TX (October). “SPANISH TRADITIONAL MUSIC AND SONGS”: Concert at Northern Community College, Espanola, NM (February); Museum of International Folk Art, Santa Fe NM (February); Martínez Hacienda, Taos N.M. (February); Acequias Meeting, Chimayo NM (February); Folklife Festival, Northern Community College, Española, NM (April); Millicent Rogers Museum, Taos, NM (May); Summer Festival, El Rancho de las Golondrinas, A Living History Museum, La Ciénaga, NM (August); Harvest Festival, Oñate Center, Alcalde NM (August). Cambalache Fair, Questa NM (October), World College, Las Vegas, NM (December). STREET PARADES AND ENTERTAINMENT: Medieval parade and songs during a three day festival, “SERVICE LEARNING CONFERENCES,” Four Season Hotel, Albuquerque, NM (March). “A JOURNEY THROUGH SPANISH AND NEW MEXICAN GEOGRAPHY AND FOLKLORE”: Lecture sponsored by New Mexico Endowment for the Humanities in collaboration with historian and writer Orlando Romero, History Library, Santa Fe, NM (January). “THE SPANISH ROOTS OF NEW MEXICO’S HISPANIC CULTURE”: Lecture at Latin-American Institute, Albuquerque, NM., and at Highland University, Las Vegas, NM. (February). “MEDIVAL PARADE AND SONGS”: Parade with medieval woodwind instruments, drums and percussion, Renaissance Fair, Acequia Madre School, Santa Fe, NM (April). “SPANISH TRADITIONS AROUND THE TABLE”: Lecture about Spanish folk tales, songs and dances, Oñate Center, Alcalde, NM (July). “THE SPANISH ROOTS OF NEW MEXICO LIFE AND CULTURE”: Week-long lecture series about the religion, music, dances, architecture, literature and language of New Mexico and the Southwest and their Spanish roots: Jewish, Arab, Basque and other cultures at the Ghost Ranch, Abiquiu, NM (August). “HISTORIA DEL ROMANCE”: Dramatic representation of medieval Spanish Romances (Ballads) and their evolution until the actual Corrido, Oñate Center, Alcalde, NM (April), Northern Community College, Española, NM (September). Flor y Canto Festival, Martínez Hacienda, Taos, NM (September). “CONVIVENCIA DE TRES CULTURAS”: Lecture: The coexistence and cultural influence between Muslins, Jews and Christians in Spain. UNM, Albuquerque, NM (October). “EL QUIJOTE EN NUEVO MÉJICO”: A drama play written and directed by Crisol Bufons about the adventures of Don Quijote in northern New Mexico, with the special collaboration of Titiriteros (a puppet company from Taos). Anglada Theater, Taos, NM (June); Oñate Center, Alcalde, NM (June); Oñate Center, Alcalde, NM (July); Questa, NM (October) Festival de las Artes, Martínez Hacienda, Taos, NM (October). Four performances at Northern Community College, Española, NM (December); Summer Spanish Market, Santa Fe Plaza, (July); Winter Spanish Market, La Fonda, Santa Fe, NM (December). “A JOURNEY THROUGH SPANISH AND NEW MEXICAN GEOGRAPHY AND FOLKLORE”: Lecture sponsored by New Mexico Endowment for the Humanities in collaboration with the UNM teachers and scholars Antonio Cardenas PhD and Cipriano Vigil PhD, Taos, NM (December); UNM, Albuquerque, NM (December). “TRADITIONAL CHRISTMAS CAROLS”: Concert at UNM, Latin American Institute, Albuquerque, NM (December); Martínez Hacienda, Taos, NM (December); Oñate Center, Alcalde, NM (December); Ignacio, CO (December); San Felipe Neri Church, Albuquerque Old Town, NM (December). No Tóxico: Drama play and traditional music, Boston College, Boston, MA (September); Toronto University, Toronto, Canada (September), and at the Festival de L’Espagne et d’Amerique Latine, Montreal, Canada (October). Visió de la Vida i Obra de Màrius Torres: Biographical dramatic play about the life of the poet Marius Torres. Center for Catalan Studies, The Catholic University of America, Washington D.C. (October). Mística Española: Lecture. Louisiana State University, Baton Rouge, LO (November). Alquimia Musical: Concert. Traditional and Medieval Spanish Music. Louisiana State University, LO (November), Santuario de Guadalupe, Santa Fe, NM (December).